Plenty of on-site parking is available close to the start/finish area. 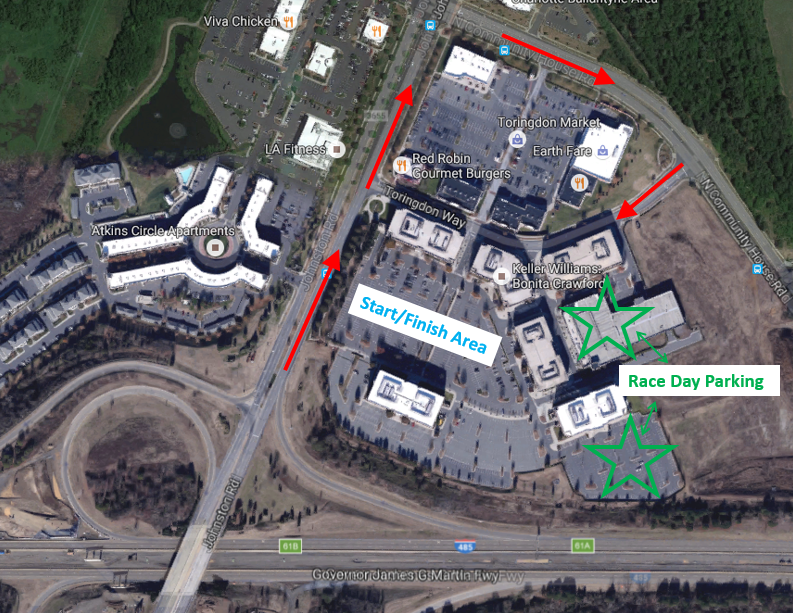 Click here to view a race day parking map. Some convenient hotels close to the start/finish area are listed below. Stay tuned for additional options and discounts! Homewood Suites by Hilton Charlotte Ballantyne- Located ~ .3 miles from the start/finish area!